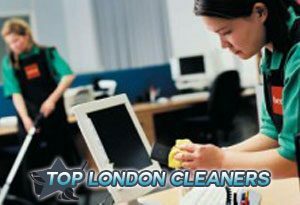 Office cleaning is a service offered by Top London Cleaners Ltd. which combines complex procedures. Your office has to be always clean and shiny because your workers has to feel the comfort of their work place. When it comes to cleaning, the easiest and most effective way to get optimal results is to hire a professional cleaning company to take care of the cleanness. We are a professional cleaning company, which is based in London and has been operating for many years. We have gained enough of experience, which gives is the advantage to know exactly what our customers want and to provide them with it. Our office cleaning services are available seven days a week, including on weekends and bank holidays. 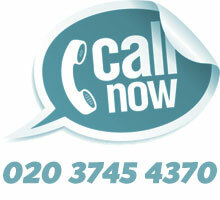 Don’t hesitate to contact us any time and have your questions answered by our friendly call-centre employees. One of our strongest beliefs is the idea that professional services should not be considered a luxury, that’s why we have been giving our customers the chance to enjoy our help at prices that everyone can afford. There are many reasons why choosing our professional office cleaning services is the right option for you. 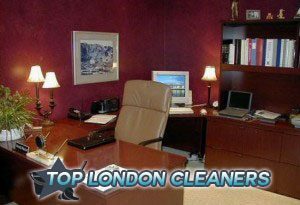 Top London Cleaners offers low prices, friendly attitude, quick work and flawless results. We have a team of experienced and super motivated cleaners, who can clean your office quickly and effectively, reaching results that can amaze you. All of our employees are devoted cleaners, who have all the necessary skills, tools and knowledge to clean effortlessly and fast, achieving excellent results. They are friendly and they love what they do, that’s why perfect results are guaranteed. There is nothing they can’t cope with when it comes to cleaning. To make the best of the cleaning process, we use biodegradable cleaning products, all of which are absolutely safe for both your health and the environment. We have been dealing within the cleaning business and doing our best to please every single client of ours with our high-quality cleaning services. Our company has become one of the leaders in the cleaning industry in London and has created a big family of happy clients, who continue using our services. We offer competitive prices that are super easy to afford and don’t mess the budget at all. Our mission is customer satisfaction and so far we have managed to please our clients every time, making sure they are more than happy with our work.